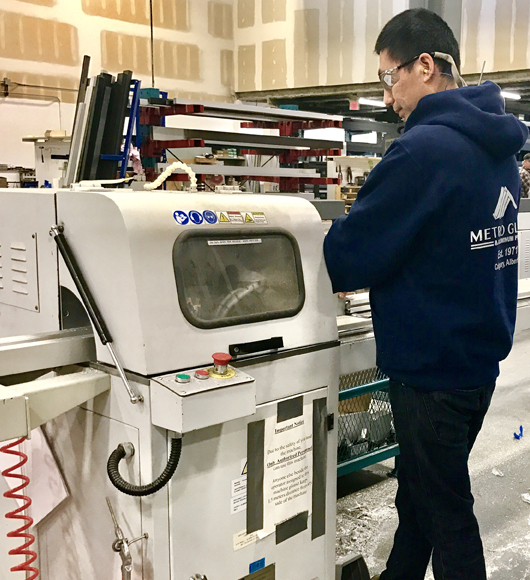 A Safety – Metro Glass Products Ltd.
Metro Glass has been keeping excellent safety records with WCB Alberta and Alberta Construction Safety Association. We have been recognized by ACSA for our safety program since 1995, we are COR Certified by ACSA since 2010. With guidelines from our safety program, we believe: Personal Safety, co-worker Safety, Customer Safety and Public Safety are the most important items on our daily agenda. Our safety goal has always been seeing our employees come to work safely and going home safely day after day for the past 45 years. Our company Safety Manual is a comprehensive guideline with Policies, Safe work Practices and Job Procedures. Metro Glass & Aluminum Products is committed to work safe for our employees and public at large. At Metro we believe safety is not just a priority, rather it is a core value. Priorities can change – core values do not.